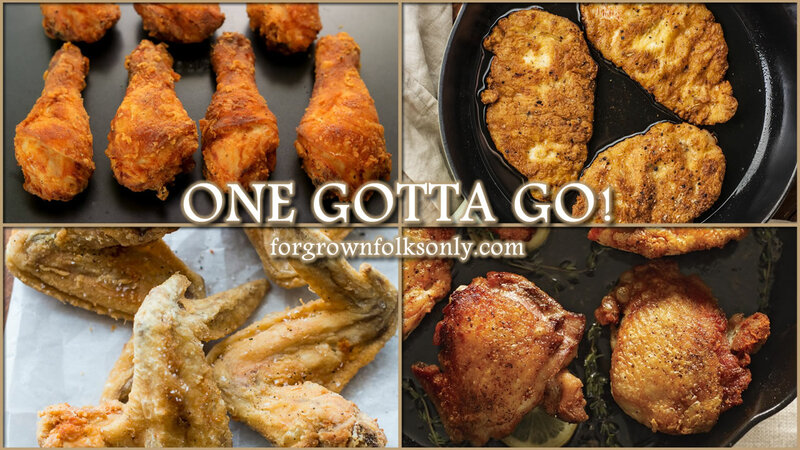 ONE GOTTA GO! So many of us love chicken BUT... If you had to choose ONE of these to get rid of FOREVER which PART would you pick; LEG, THIGH, WING, BREAST? Let's see which matters to you the most. LIKE. COMMENT Below. SHARE/TAG Someone!